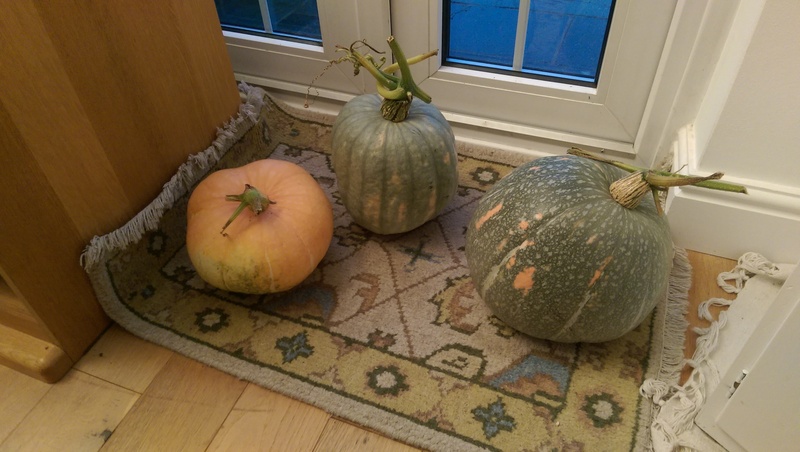 Autumn is the season when all the hard work in the vegetable plot pays off and you can start to feel really primal collecting your own food that you have grown and preparing meals with it or preserving it for later. 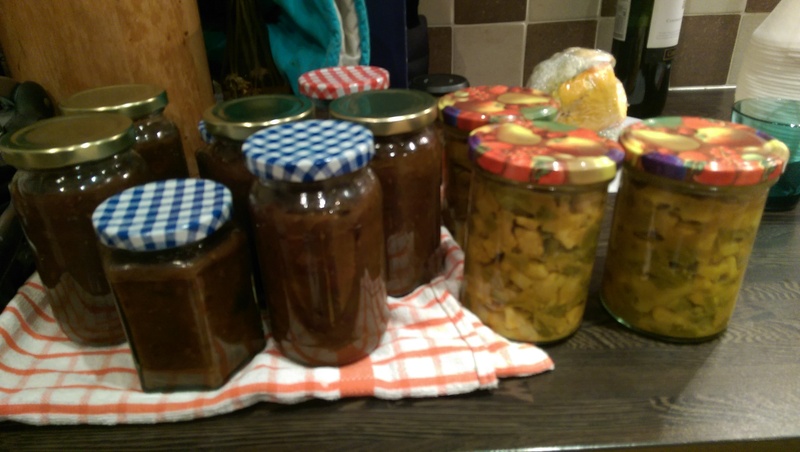 Here I have piccalilli to have with the cold turkey at Christmas and some vegetable and fruit chutney that will be prefect for making barbecue sauce throughout the year. Yes it has sugar in it, but you eat so little of it so infrequently that its not going to be a problem. But preserving takes planning and preparation and Autumn sometimes doesn’t allow time for that, it simply presents you with food and you quickly have to decide how to eat it before it passes its best, drops off the tree, goes rotten or gets eaten by something else! If you always have a container of stock (broth) in the fridge, you will always be able to do something! Say you have a glut of sweet corn and you can’t face another corn on the cob? 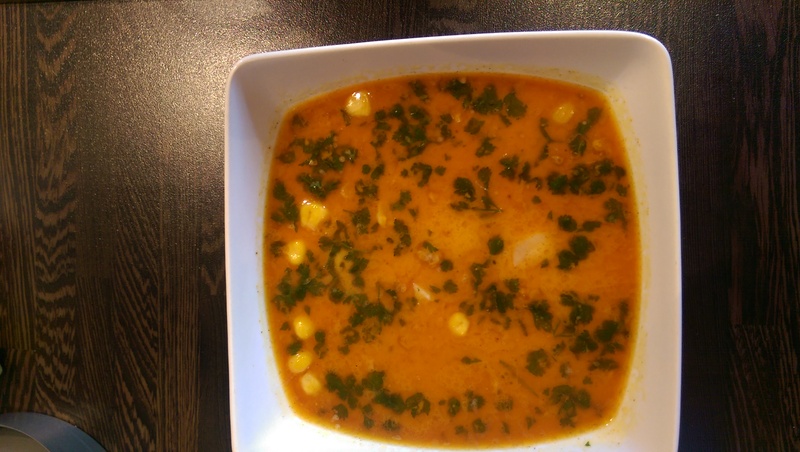 If you have a good chicken stock in the fridge you can easily make a lovely smoked haddock and sweet corn chowder. This isn’t a classic chowder as I omitted the potato. The green is the herb chervil. 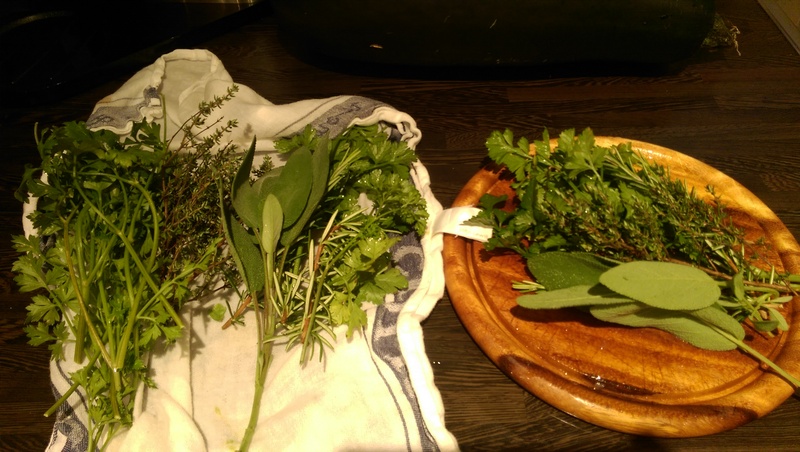 Suppose you have some beautiful herbs that are just ready to use? 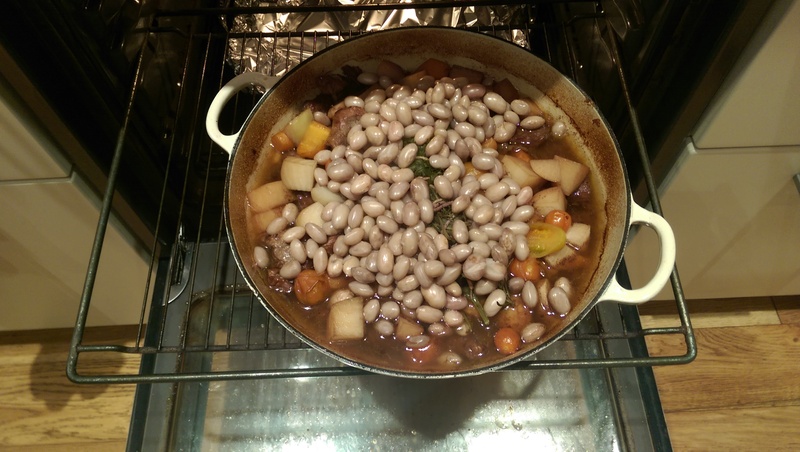 If you have a good lamb stock in the fridge you can simply collect up any vegetables that are ready to eat and make a delicious lamb stew! 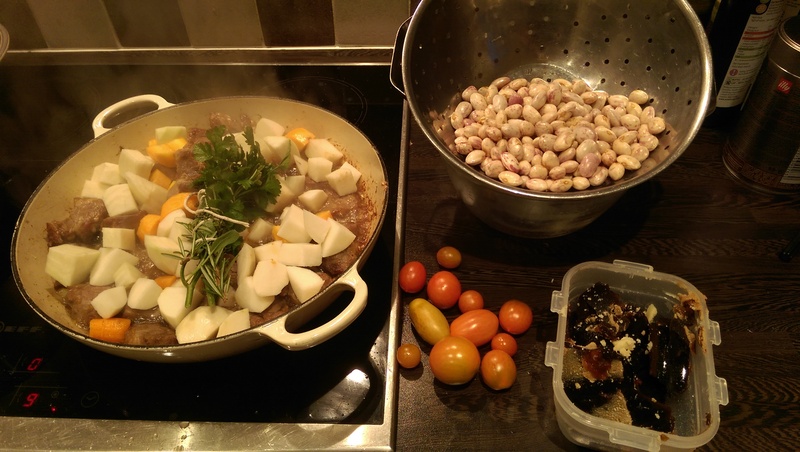 Here with shallots, turnip, white beetroot, borlotti beans and tomatoes. The jellied stock was made from the bone of a roast joint of lamb. Shorter lives, poorer health. Children are now suffering adult diseases. Another day, another set of data that demonstrates the spiral of decline that worldwide levels of obesity are causing. Obesity, type 2 diabetes and high blood pressure are now routinely diseases of children where they once were the exclusive preserve of adults and in the case of type 2 diabetes, quite old adults. The cause of this transmission of diseases from old to young people is simply caused by diet according to a report from the World Obesity Federation. With the UK government backing down on trying to do anything about childhood obesity in the UK and UN targets on reducing obesity all but unachievable, it looks like the world is giving up on the health of its children, condemning them to a life of ill health, amputation, depression and ultimately, an early death. “More than 3.5 million children now had type 2 diabetes, which was once unknown in this age group and can lead to horrible complications in later life, such as amputations and blindness. The World Obesity Federation, which compiled the data, predicted that number would rise to 4.1 million by 2025. Astonishingly, some of the children referred to in the report were both obese and stunted. Stunted growth occurs as a result of poor nutrition. So these children were eating enough food to make them obese, but it was of such poor quality, their bodies were unable to use the food to grow. All the “food” that they were eating did, was make them fat. I wish someone would tell Coca-Cola and Nestle that.